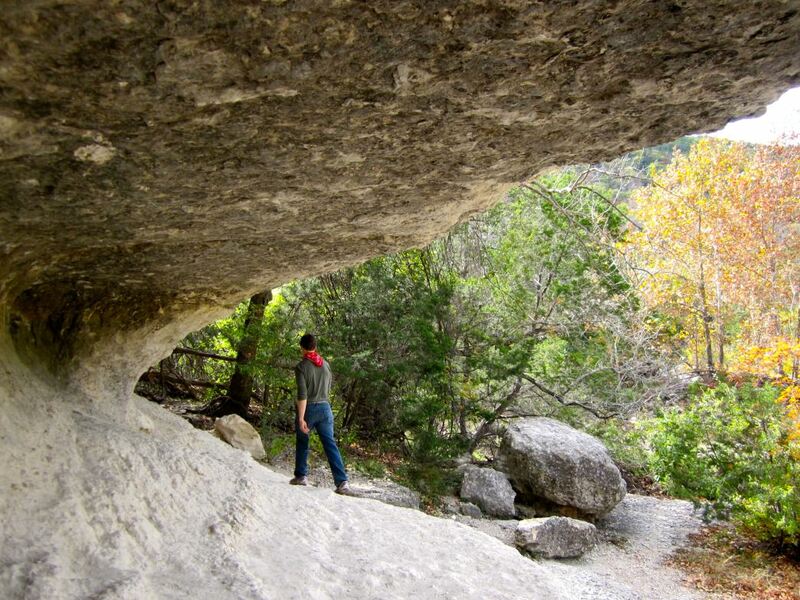 Locals know that the Lost Maples State Natural Area East Trail is one of the most challenging day hikes in the area. The 0.8 mile climb required is demanding, to say the least. But it's also very rewarding and worth the effort, even for rookies and novices. After your heart rate has recovered from the punchy 400 foot gain in elevation, you are rewarded with a phenomenal view of the Sabinal Valley below. To commence with this challenge, park on the northeast parking lot of the park and take the aptly named East trail. Hike 1.29 miles to Monkey Rock to pump yourself up for the climb. The simian resemblance of this rock is uncanny. You can also take the Maple trail which connects back to the East trail. After the first bend, you may choose to free climb a bit and explore near a large crevasse. You can't miss the crevasse because of it’s attention-grabbing size. 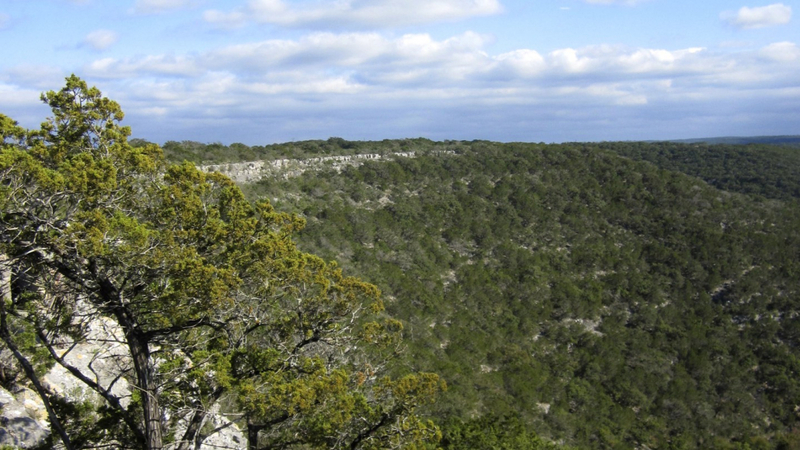 Keep hiking about 2.7 miles along the relatively flat East Trail until you hit the warning sign. Pro tip: If you see a warning sign, 100% of the time it means you absolutely should take that trail. Once you hit the warning sign, you can start mentally preparing yourself to ascend 0.8 miles up rugged terrain to the top. At first, you will see the trail stairs. 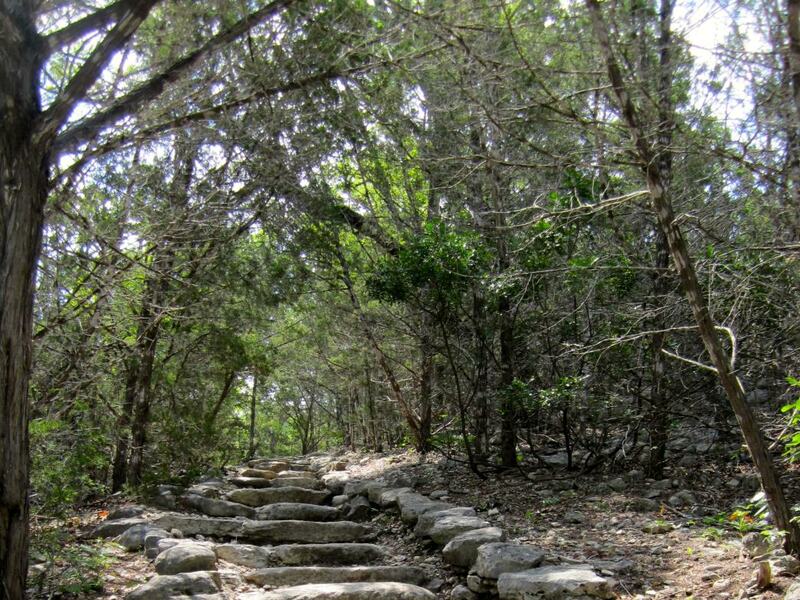 You will quickly pass the trail stairs and use Mother Nature’s stairs (read: rocks), for the remainder of the way. You can always stop for a breather, turn around and look at the view behind you, or chat with other hikers until you get to the top. Many hikers turn around before getting to the top. Do not despair! Once you see the bench, you're almost there. This entire stretch is a great sunrise location. 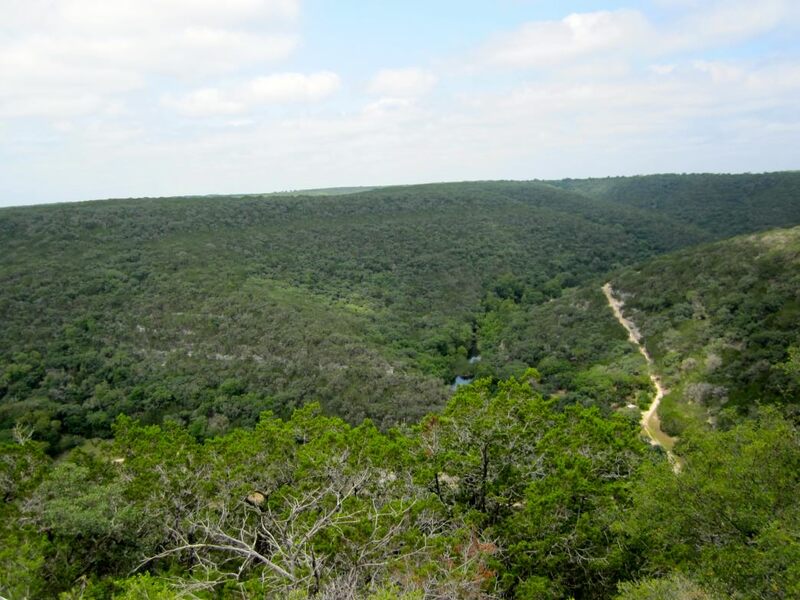 When you reach the top, you are graced with a beautiful vista of the Sabinal Valley below. 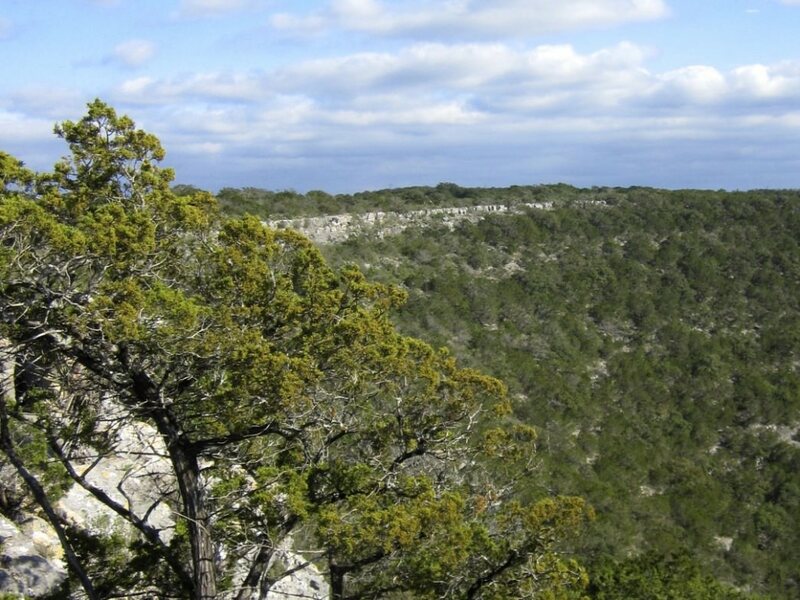 Walk south towards the scenic overlook (point of interest number three on the LMSNA map) for another inspiring view. 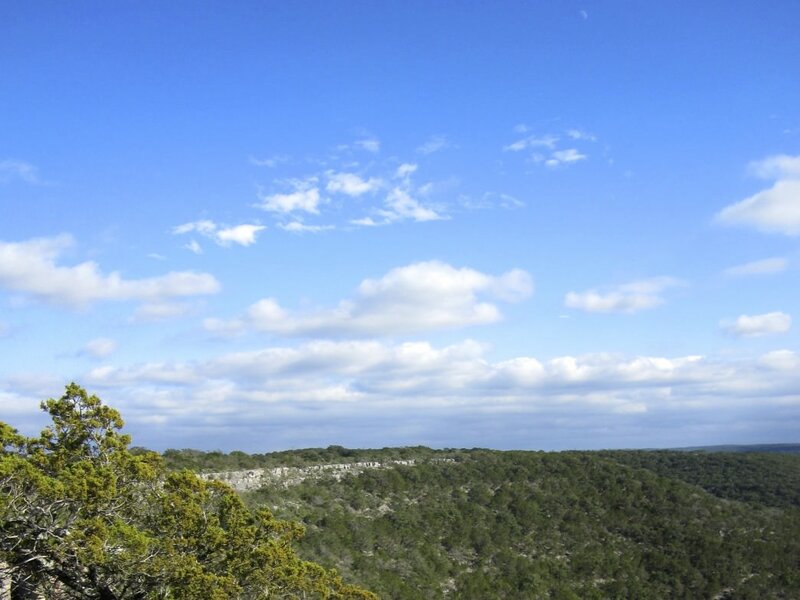 This overlook is a great panoramic lunch spot for large and small groups with plenty of space to sit. Turn around due north and walk the return 0.3 mile path back to the East Trail. You will pass another scenic overlook (point of interest number four on the map). Make sure to take a picture at the scenic overlooks before you descend the 0.35 miles down the valley on the rocky terrain. Be careful as the rocks can slide. 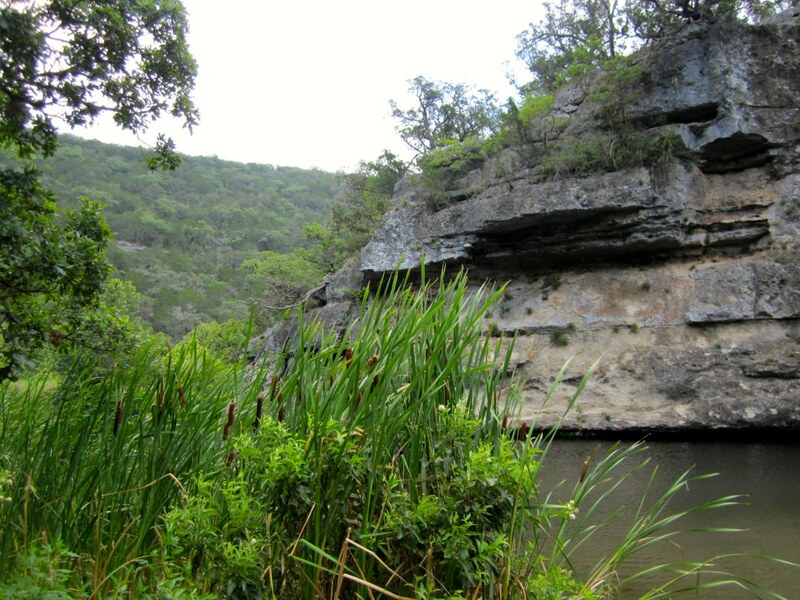 The base of the valley reveals a pond with plenty of shade. This is another pleasant spot to stop for a lunch break, located near Primitive Campsite C.
At this point, you can either take the East/West Trail 1-mile back to the parking lot or take the West Trail to add on more miles. Since you are here for the hills and not the flats, you will likely take the West Trail 2-miles through dried up creek beds and woods. Make sure to stop hiking for a minute and listen; it's quite a relaxing experience. Most of the other hikers return to the parking lot via the East/West Trail, so along the West Trail, you won't have to see or hear crowds of people (and their cell phones). 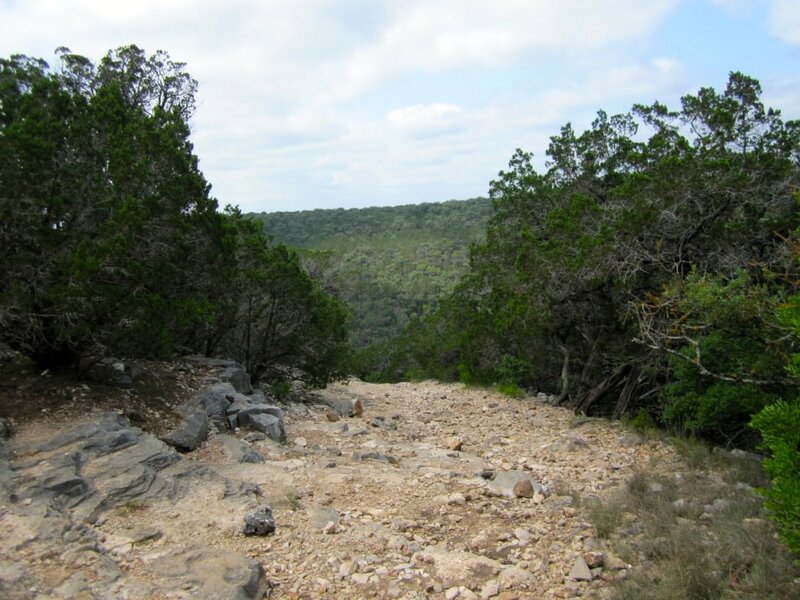 After about 2-miles, you will find another 400 foot ascent (this time without a warning sign!). The grade isn't as steep as the East Trail’s climb, but it is still a challenge and is just as rocky as the descent from the previous climb. The top of the incline provides a little bench to take a breather, a snack, or a nap. The trail continues on the top of the plateau and then quickly descends into the valley via another rocky trail. 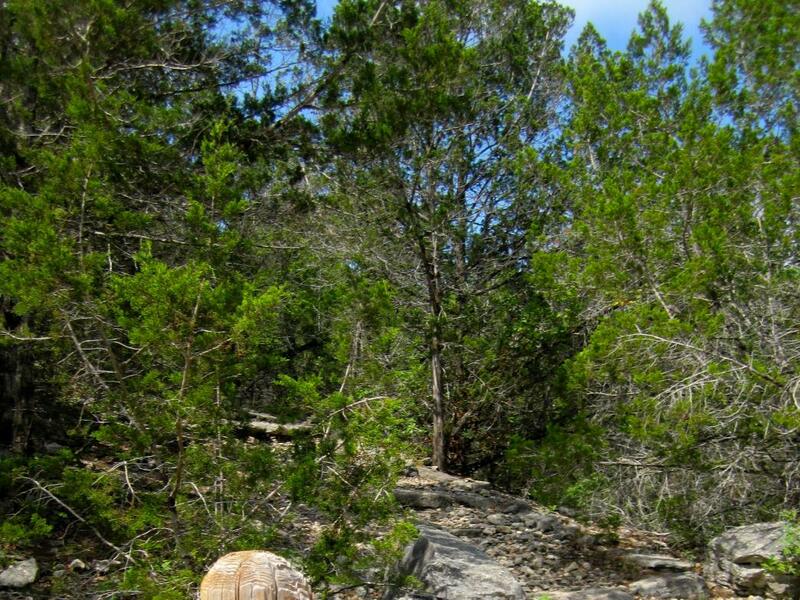 In fairness, Lost Maples does not have the steepest inclines in the world, but it is a good challenge in Central Texas that is easily accessed by Austin and San Antonio locals. The park is busy during November when the maple leaves change color but is rarely traversed in the off-season. Expect to see 15-20 people in the off season throughout the hike, particularly on the West Trail. During the inclines, your thumping heart and lungs will be thankful that no one else is around to hear you panting.